SCADACore provides full suite of environmental monitoring, including weather, air quality, water quality, water levels, and radiation. SCADACore’s environmental monitoring allows for the analysis of data over days, weeks, months, and even years to determine the quality of the environment in an particular area. Remote monitoring suitable for extreme winter temperatures. Real-time callouts can be used to notify stakeholders of immediate dangers. Air Quality monitoring powered with SCADACore solar communication package. Water Quality and Water Levels in one monitoring package. Sound intensity monitoring for construction or remote Oil and Gas locations. SCADACore can provide a full range of real-time water quality readings including pH, dissolved oxygen, conductivity (salinity), oxidation-reduction potential, turbidity, temperature, and a wide range of Ions. Water quality can be used in conjunction with water level monitoring to provide a full environmental water solution. SCADACore works with several water level monitoring solutions to find water levels in irrigation canals, sloughs/dugouts, drainage ponds and more. SCADACore security camera can be added to the water quality monitoring to give a full visual overview of water levels. Remote Air Quality monitor can be used to ensure air quality standards for residents and employees are up to standards. Air particulate monitors can also detect dry conditions for forest fires or smoke detection to detect small wild fires before they become out of control. Seismic monitoring can be used as an early warning system for landslides or volcanic activity. SCADACore can monitor in 5 second intervals with real-time callouts giving supervisors and residents the data they need to stay safe. There are several applications for Sound Level or Sound Pollution monitoring. Industrial Hygiene applications, Construction or Industrial Sites, and even law enforcement can benefit from the remote Sound Level Monitoring provided by SCADACore. Construction companies can actively monitor the levels of the noise at their site and retrieve a history of the high and low levels if a specific time is in dispute. Law Enforcement officers can use the Sound Pollution Monitoring as sound snares for loud motorcycles or cars that may exceed the threshold for noise. 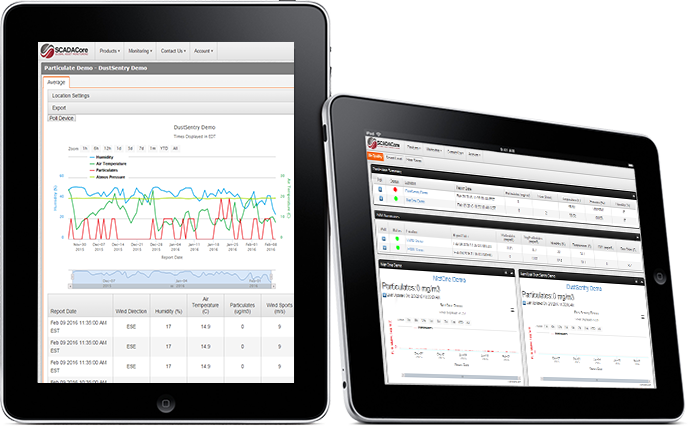 SCADACore’s real-time monitoring is a perfect solution for monitoring remote weather stations. Because of the flexibility of the SCADACore solar communication packages dozens of weather related sensors can be combined for a complete and custom weather monitoring solution. Stand-alone weather stations are perfect for filling gaps in existing weather stations or plume or fallout monitoring in industrial or oil and gas areas. Do you want more information on SCADACore’s Health and Safety solutions? Are residents next to your construction site, mine, oil and gas well, or industrial facility complaining about noise or pollution? 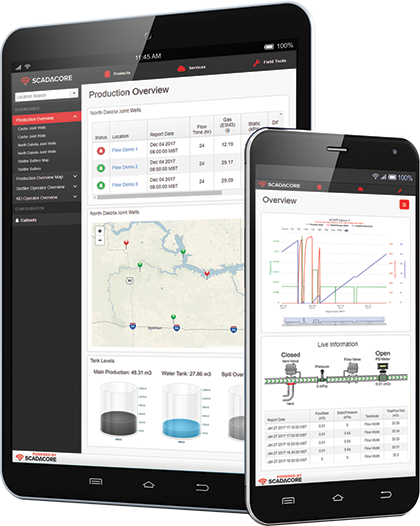 Do you need real-time monitoring of water wells and real-time checks on water quality? Do your workers and residents need to know the air quality near you construction site?